The ability to speak to the dead, to hear their stories, to learn what happened in their lives, to get to know someone beyond the dates carved on a tombstone: This what this book provides the reader. 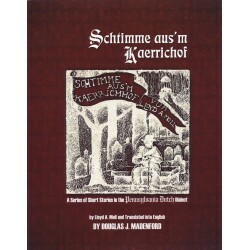 In this collection of short stories in the Pennsylvania Dutch dialect, we hear from 18th and 19th century rural Pennsylvania Dutch people recalling their life stories. The reader can gain an insight into the everyday lives of the colonial- and post-colonial-era peoples of southeastern Pennsylvania. 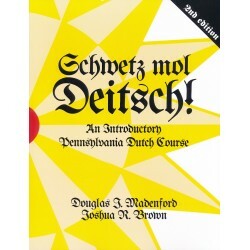 All of the stories are presented in the original Dutch writing of Lloyd Moll and an English translated version with accompanying historical notes. Join the unnamed protagonist as he makes his nightly walks in the cemetery and hears voices from the past. Softcover. 252 pages.